In Section 6.1, Southgate distinguishes between “anthropomonism” and “anthropocentrism”. Distinguish between the two. Which view comes close to what the Bible possibly advocates? Should the creation’s main concern be about human interests and humankind being at the center? Do humans play a unique role in the framework of creation in light of evolutionary history and its hopeful transformation, or can a new heavens and new earth happen without humans being involved at all? In other words, is the new heavens and new earth dependent upon human involvement or is it meaningless to have a new heavens and new earth without human involvement? In Section 6.1, would you agree with Southgate’s (speculative) interpretation of Romans 8: 19-22, that the “futility” that Paul writes of equates with the evolutionary process? Does his interpretation merit some attention or has it strayed too far away from the context of the text to make it relevant? He writes: “Once the process of selving and self-transcendence… had reached a certain level of complexity, God was able- through the incarnation of the divine Son within a creature – to inaugurate the process of redemption. Out of the ‘futility’ of the evolutionary process, and the extinction of over 98 percent of the species that have ever lived, came, precariously and eventually, ‘hope.’” Did the process of redemption begin with Jesus or did it happen before Jesus? Is evolution ultimately a futile process overall or is it meaningful in many respects? In Section 6.1, Southgate writes, “It is, as Paul’s language hints, a struggle that gives birth. It is a struggle in which humans and the nonhuman creation groan together … in giving birth to new possibilities of life.” Would you agree with Southgate’s view that it was God’s plan all along to allow or have evolutionary struggle work itself out (with all its death and suffering involved) so that it would eventually produce free complex life, like ourselves, to emerge? Must struggle be involved with complexity and ultimately the hope for a redeemed creation? In Section 6.2, summarize the Orthodox view of freedom and the eucharist in contrast with the Western philosophical and theological understanding of both. Does the Orthodox view of both freedom and the eucharist hold more weight than the Western view? Why or why not? In Section 6.3, describe what the Romantic poet Gerard Manley Hopkins means by “inscape” and “instress”. What is a shortcoming that Southgate describes in trying to understand what early human ancestors were thinking on a deep level? 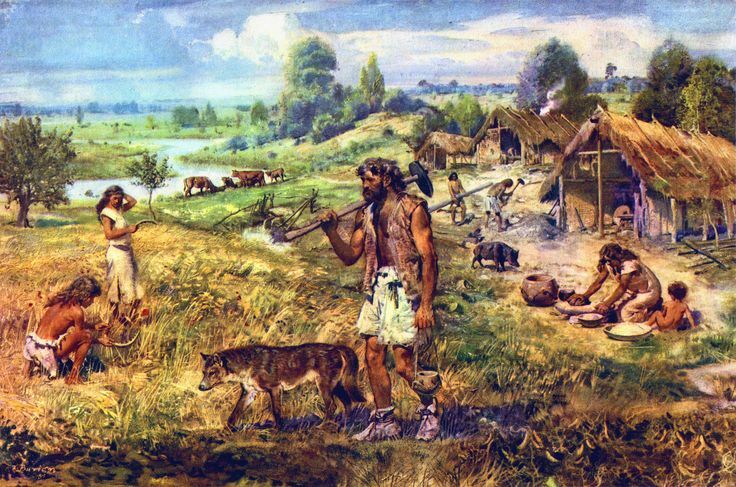 In Section 6.3, describe how the advent of agriculture changed humanity and the earth. What do you make of J. Wentzel van Huyssteen’s quote: “Homo Sapiens is not only distinguished by its remarkable embodied brain, by a stunning mental cognitive fluidity expressed in imagination, creativity, linguistic abilities, and symbolic propensities… [but] we humans are also affected by hostility, arrogance, ruthlessness and cunning”? Southgate also points out that “Just as human hunter-gatherers were instrumental in many prey species going extinct, so there is evidence from as long ago as 1600 BCE of human over-farming… The assumption that pre-technological human societies were always somehow in tune with, and lived sustainably in, their surroundings receives little support from the anthropological record.” What does this say about human nature and our relationship with the environment? How much has changed today? Will our species’ attitude toward one another and to the environment change as we evolve further down the road, or will it remain the same? In Section 6.4, Southgate bemoans the fact that “The current crisis over climate change can be seen as just the latest example of our inability to look to our long-term self-interest as a species. I contend that there is a profound unwillingness on the part of most contemporary human societies to understand the nonhuman world at a deep imaginative level, to instress it. As a result, wherever humans interact with the nonhuman creation it tends to become impoverished, a travesty of itself.” Is he being too pessimistic here or is he correct in pointing out our short-sidedness and the primacy of putting our current self-interest first before everything else? Are we really a “plague mammal” as Reg Morrison says we are? Is this all a reflection of humanity’s fallen nature and failure to “have that mind ‘that was in Christ Jesus’ (Phil. 2:5)”? If there is a problem, then what is the solution? If you see no problem, then state reasons why you disagree with Southgate. We will discuss this in our this coming Sunday. By Project Augustine in Science and theology on August 9, 2017 .